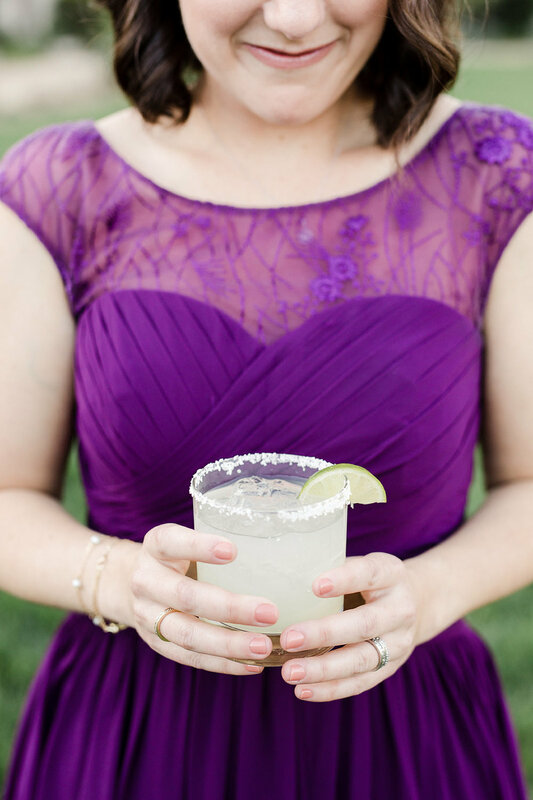 The sunny weather at The Lodge at Malibou Lake was picture perfect for Amanda and Andrew’s March wedding. The bride wore a white mermaid gown with a lace overlay and train. 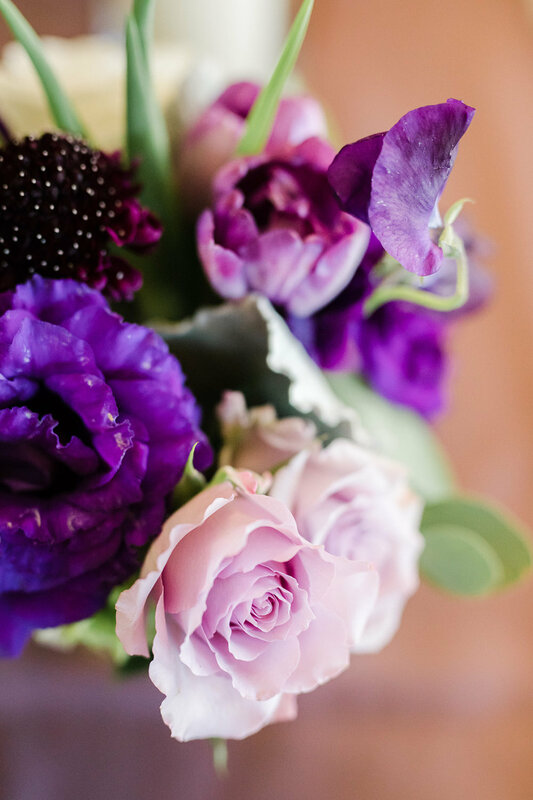 Della Robbia Events crafted Amanda’s dramatic spring florals, with white Sweet Pea, dark scarlet ’black’ peonies, dusky pink roses and velvety plum anemones for her bouquet, and the Groom wore an amethyst tie to match! The attire was formal but the groomsmen’s Air Jordans kept it fun; a nod to the groom’s basketball past as a WNBA Practice Player. After a ceremony on the Grand Lawn under a perfect blue sky, the couple and their guests repaired to the Ballroom for cocktail hour. 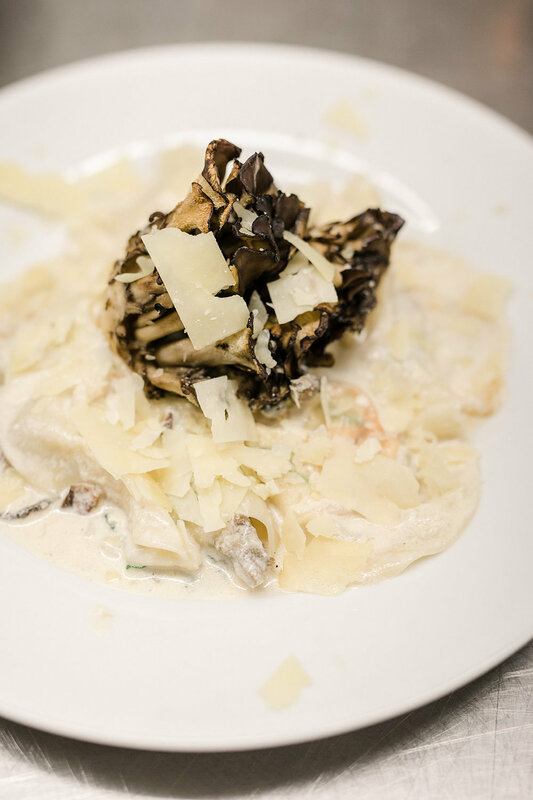 At the reception, they dined on swiss chard and ricotta ravioli, pan-seared salmon, and fillet mignon in a black peppercorn cognac sauce courtesy of Chef Cordelia. 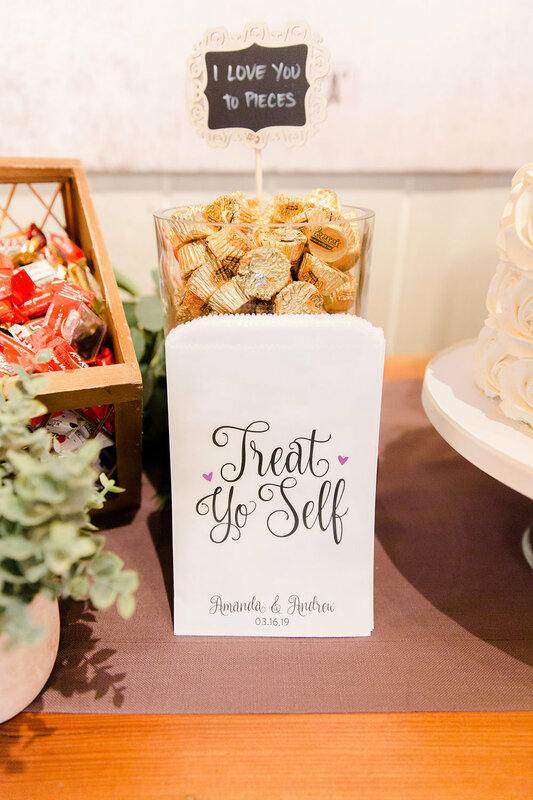 Dessert was a playful buffet with all of the couple’s favorites, including chocolate cake with vanilla buttercream frosting, adorable mini cherry pies, and a candy bar complete with dueling ‘Bride’s Choice’ Twizzlers and ‘Groom’s Choice’ Red Vines. 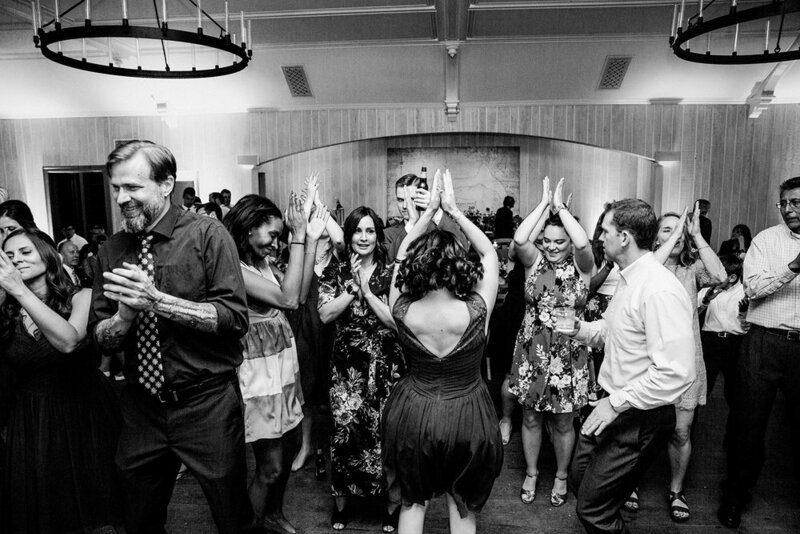 The party capped the reception with a photobooth, DJ and dancing into the night.